Well, it’s like a regular tart extravaganza around here. 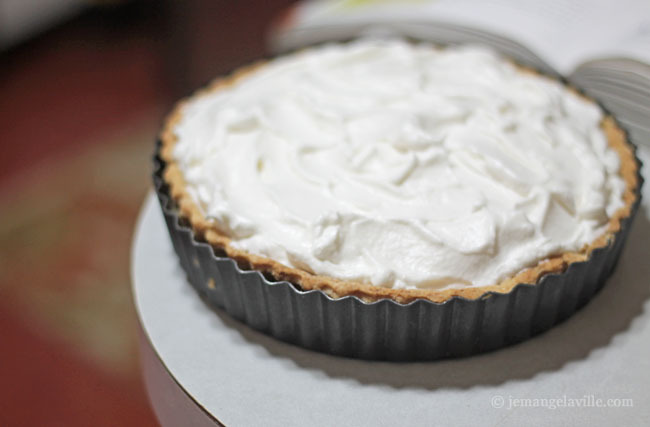 This one was a test of a pie crust recipe (it was very good) and really, an excuse to make a lemon meringue tart. I have a memory of making one years ago and not liking it much. This one, however, I loved! We both did. 3. I added vanilla extract to the meringue. You can either use your favorite pie/tart dough recipe or even buy pre-made dough if you like (the Trader Joe’s pie crust dough is not too bad). Whatever dough you use, if you make it, add a little chopped rosemary to it, roll it out, and fit it in your pan. Bake it unfilled all the way (you’ll want to use pie beads, beans, or dock the crust) and then fill with the curd. 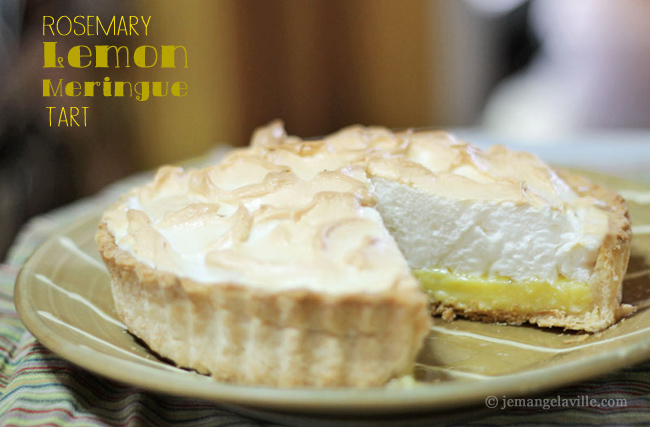 Let chill, then top with the meringue, and bake briefly. Done! Ours kept easily in the fridge for about four days. Will yours make it that long? If you don’t have a tart pan, you can easily make this as a pie — I just like how neat and tidy a tart looks when the ring is pulled off. 1 single pie/tart crust recipe – when you make the dough, add 1/2 tsp fresh chopped rosemary leaves. Prepare tart dough (adding 1/2 tsp chopped rosemary leaves to the flour while making), roll out, and form into an 8 or 9-inch tart pan with removable bottom. Bake according to directions. Set aside to cool. To make the lemon curd, whisk together the sugar, honey, zest, egg yolks and rosemary in a small pot. Add the lemon juice and salt and whisk to mix. Place pot over medium heat and and add the water and cornstarch mixture, as well as the butter. Whisk constantly, while the butter melts and mixture thickens up. It will happen around 180 degrees F, or after about 5-7 minutes of cooking and whisking (you don’t actually have to be all nerdy like me and check the temperature, that’s just an fyi). 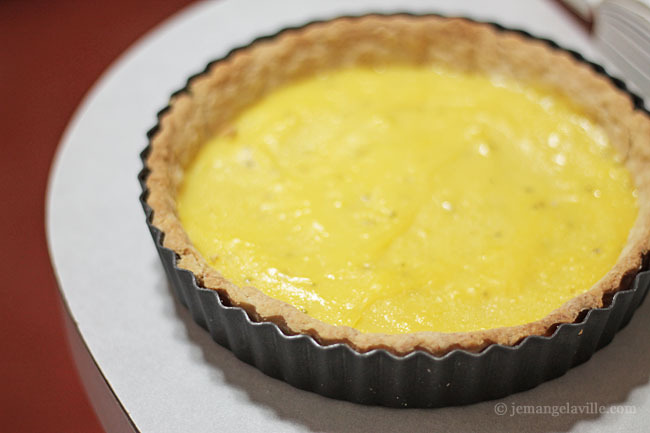 Remove from heat as soon as it thickens, give it another whisk or two, and pour into baked tart shell. Smooth the top and refrigerate until chilled and curd is set, 2-3 hours. 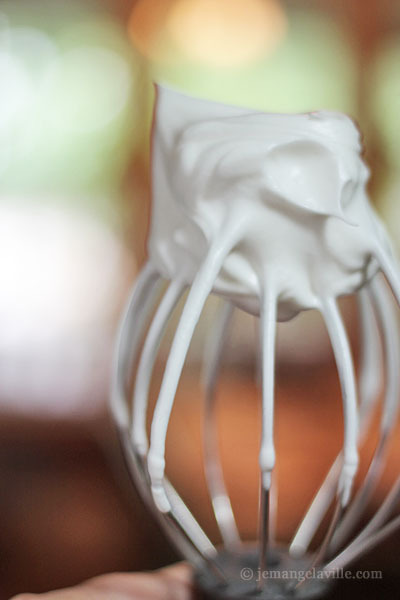 Preheat oven to 350 degrees F. In a stand mixer, combine egg whites, sugar, salt, and vanilla. Beat on medium high until stiff peaks form. 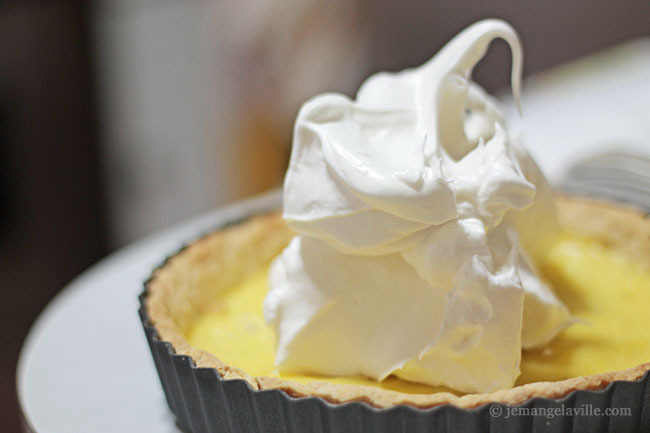 Scoop meringue onto the chilled lemon curd and spread decoratively, making sure to go all the way to the edges of of tart and smooth to seal. Use the back of a spoon to make swirly designs. 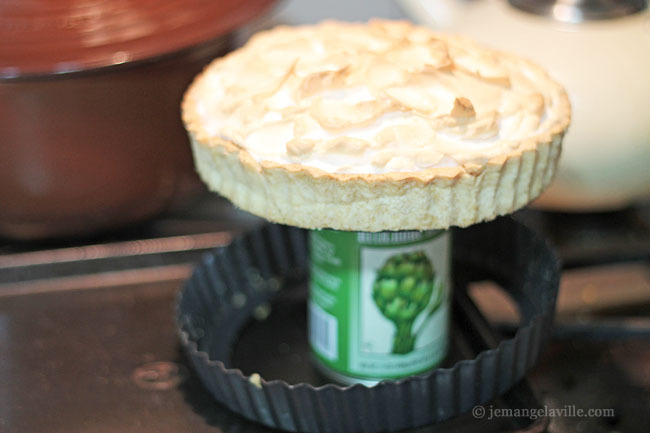 You can dome the meringue toward the middle, if you’d like. 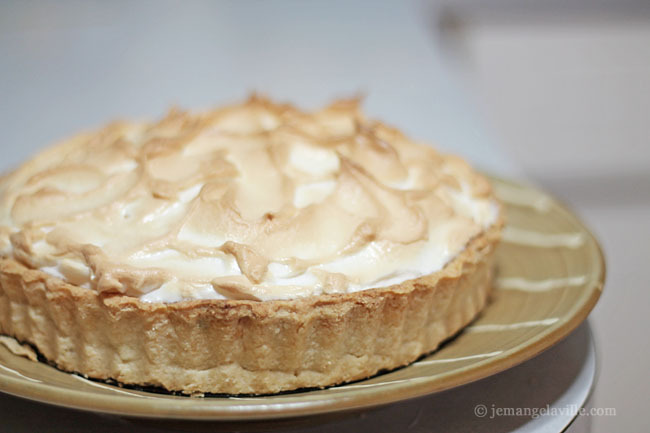 Bake until tops of meringue peaks begin to brown, 8-10 minutes. Let cool to room temperature briefly, remove tart ring, then serve.